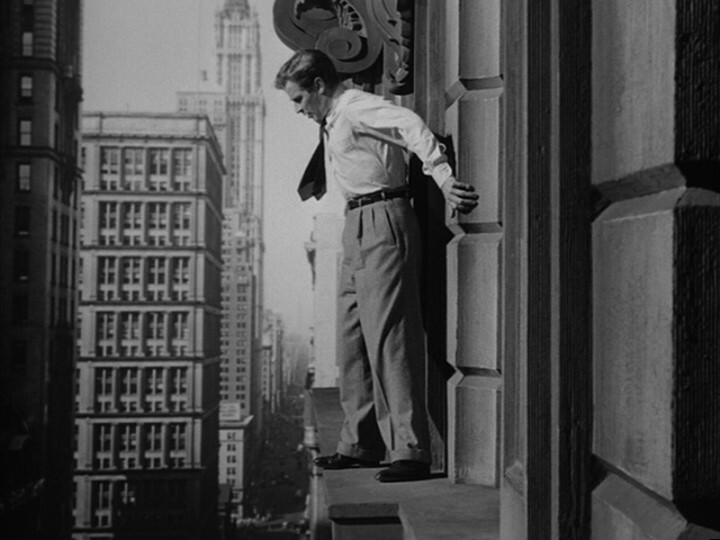 off the ledge of a New York skyscraper. 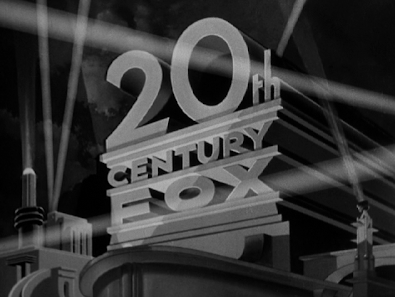 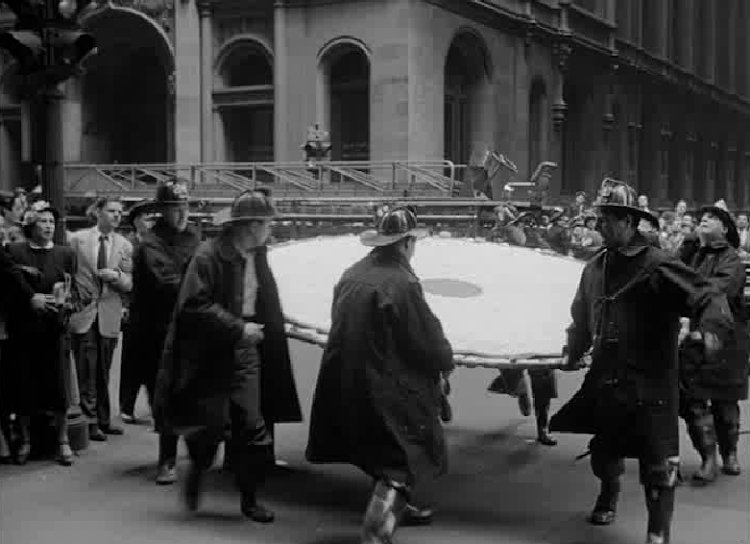 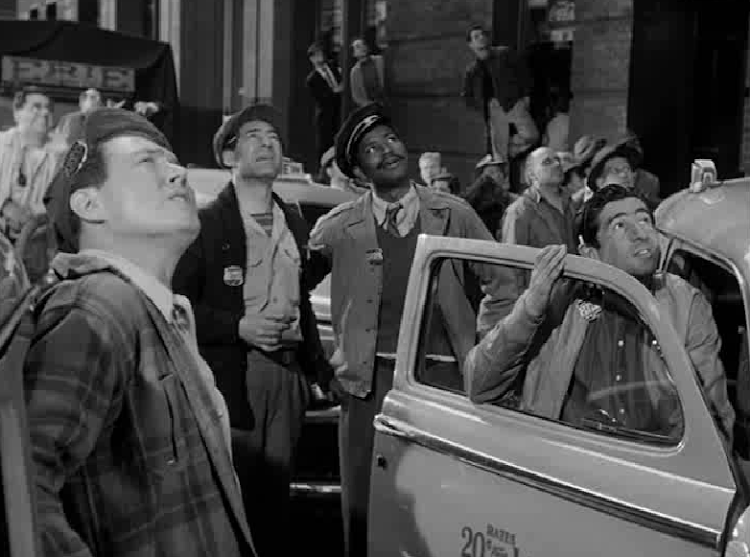 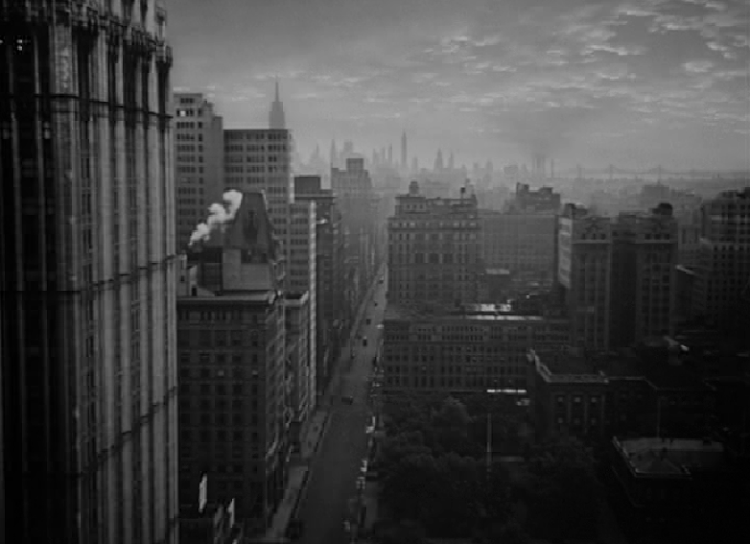 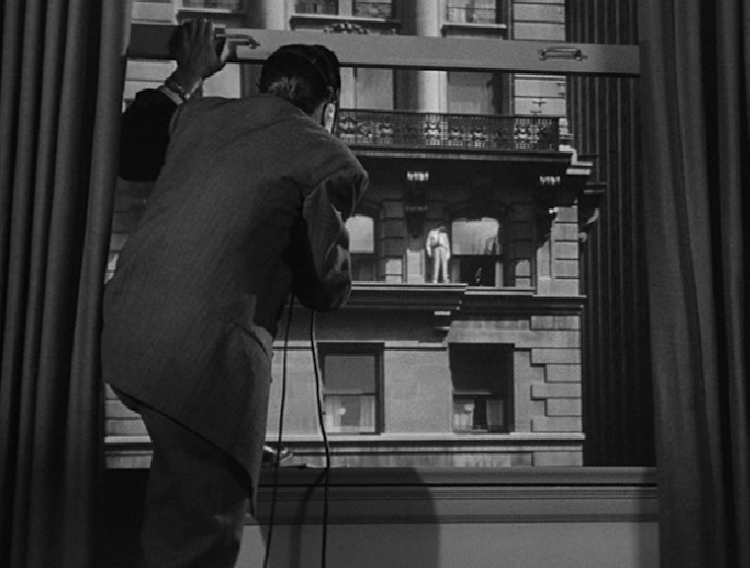 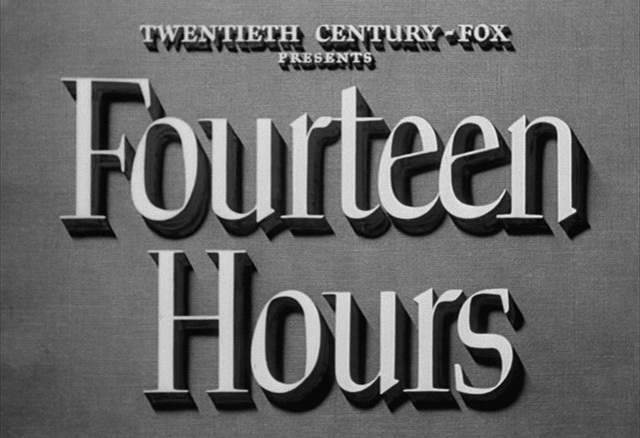 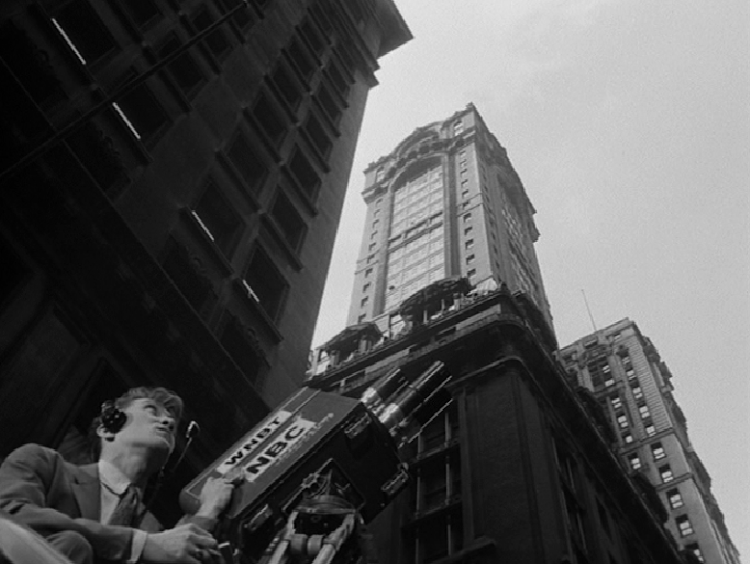 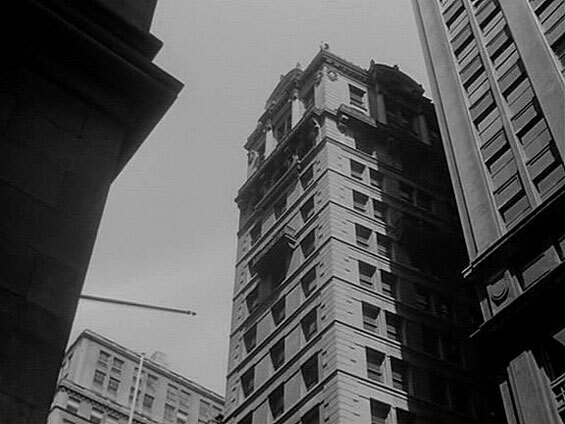 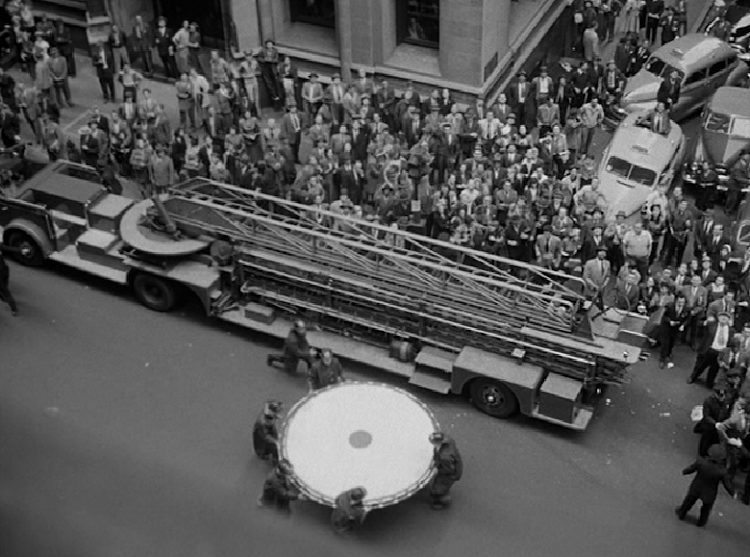 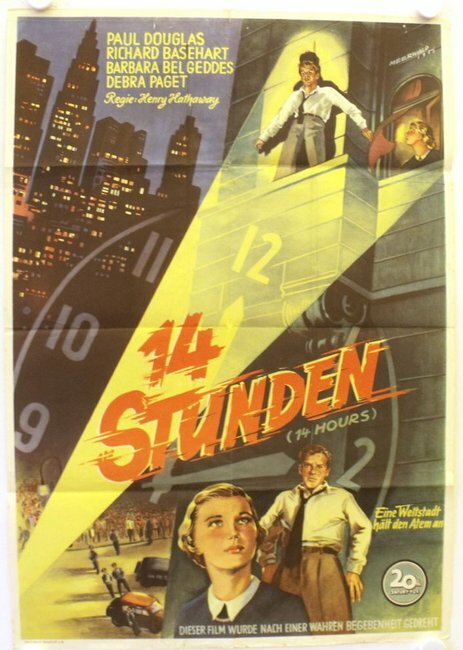 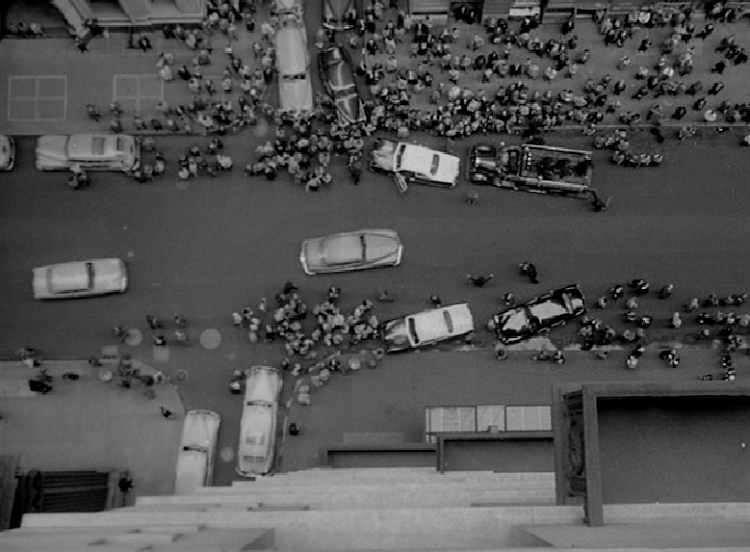 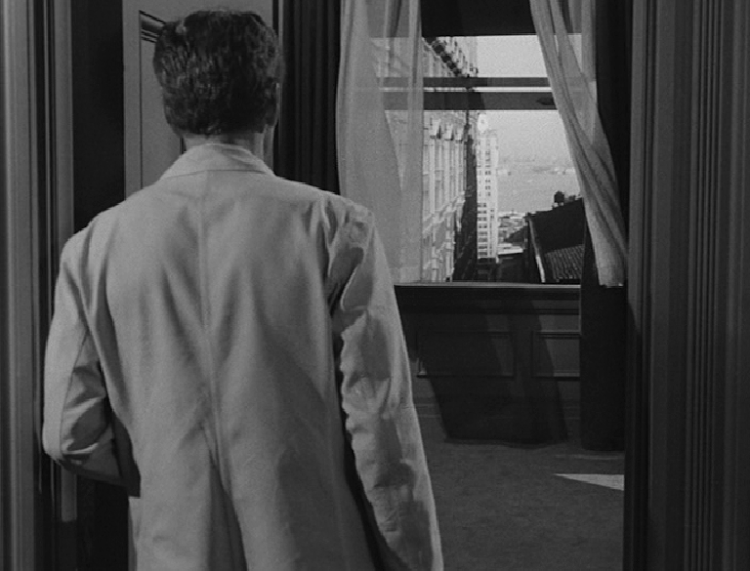 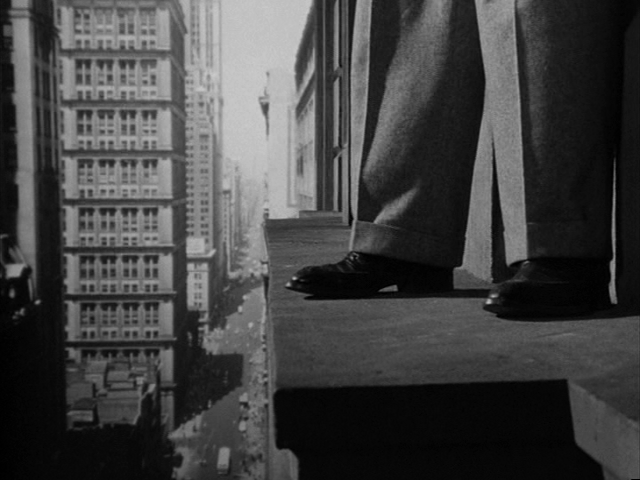 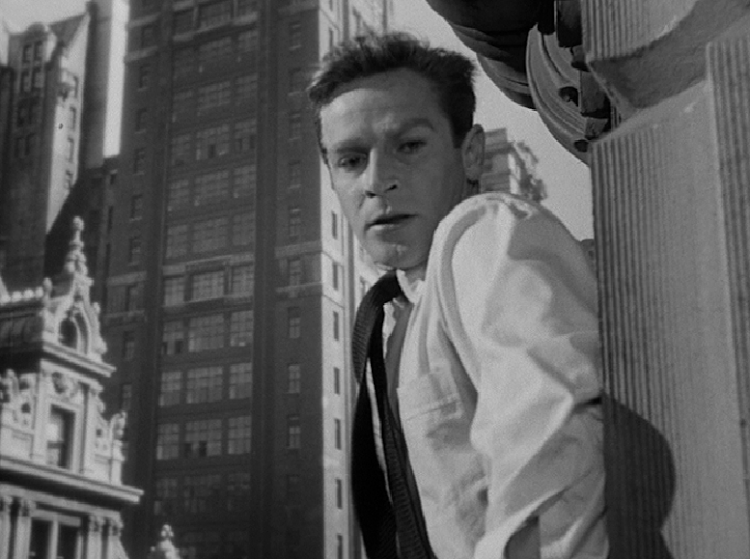 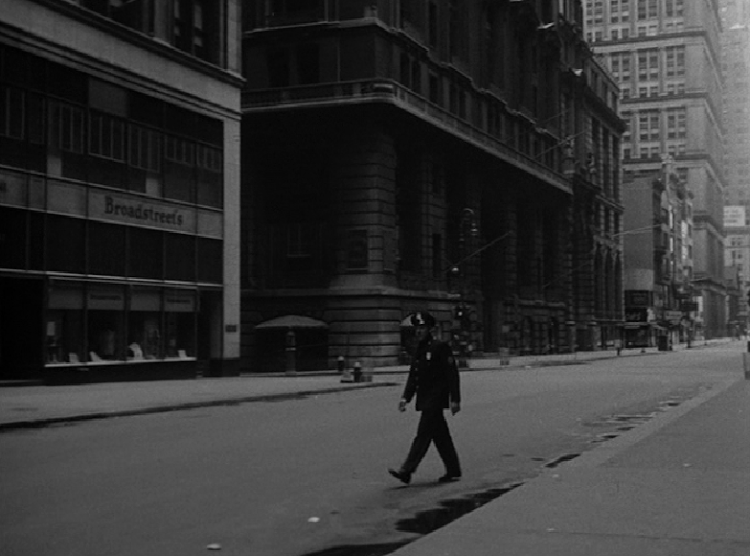 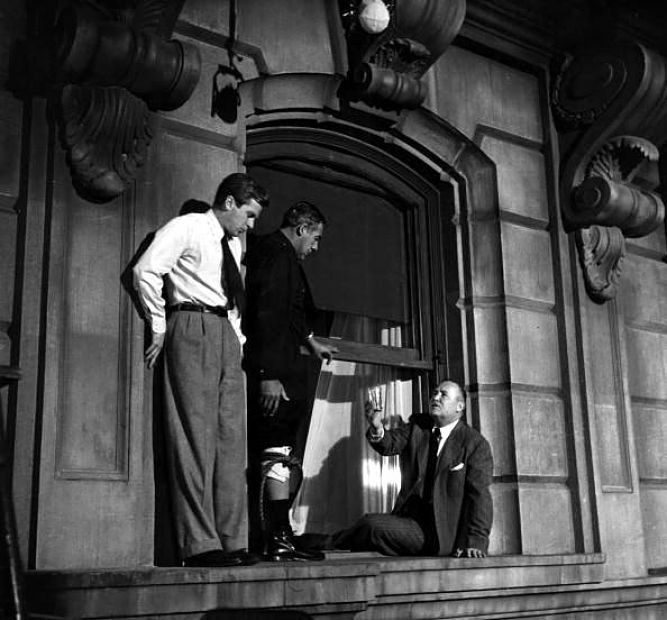 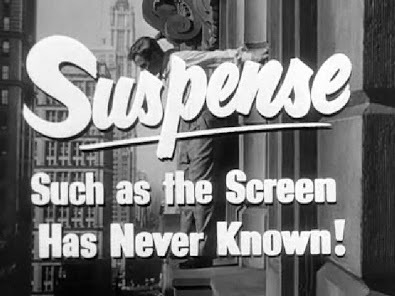 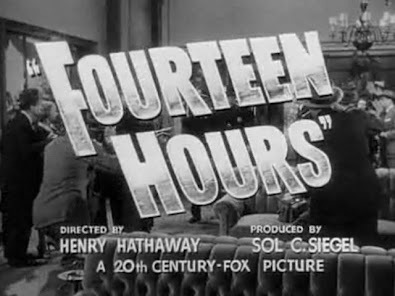 "New Yorkers who vividly remember the case of the man on the ledge—the poor chap who lodged himself grimly on a high cornice of a local hotel one summer day back in 1938 and stood there teetering while rescuers labored and the city held its breath—will tautly relive that curious drama in Twentieth Century-Fox's 'Fourteen Hours'. 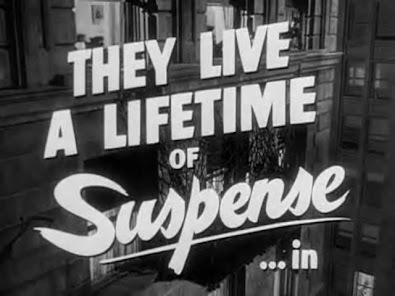 .... And likewise, those who have no memory of that or any similar case will find gripping suspense, absorbing drama and stinging social comment in this film. 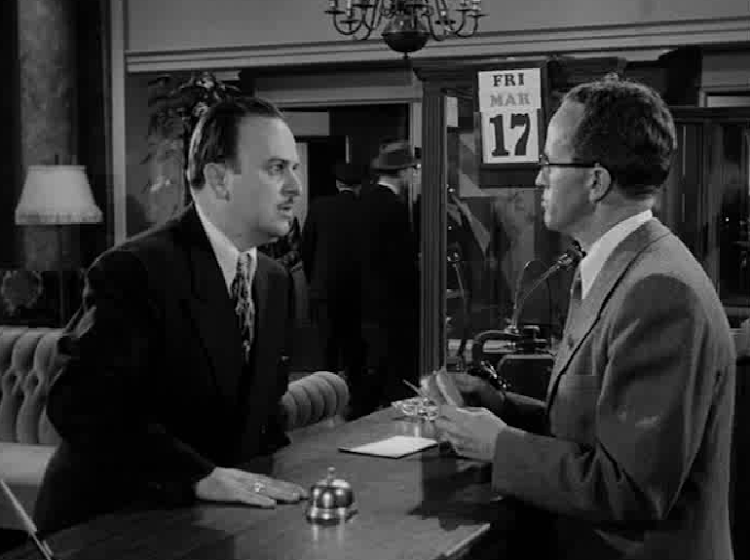 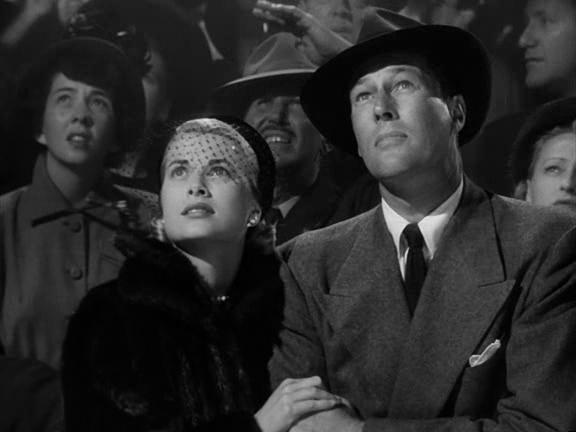 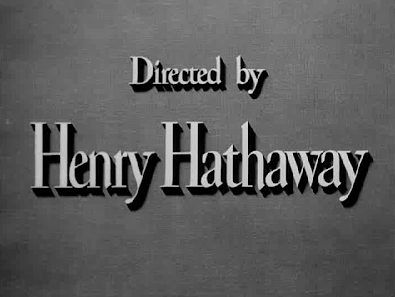 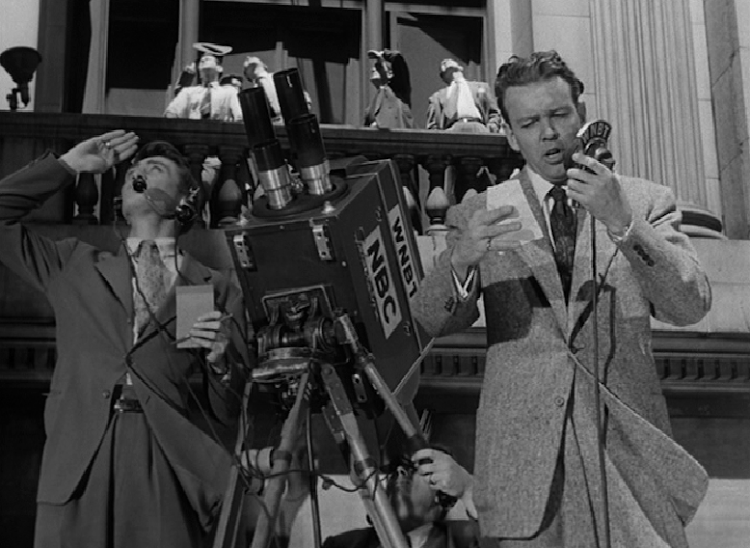 .... Fitly directed by Henry Hathaway in a crisp journalistic style and played to the hilt down to its 'bit' parts, it makes a show of accelerating power. 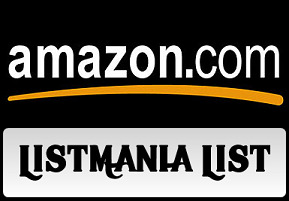 .... 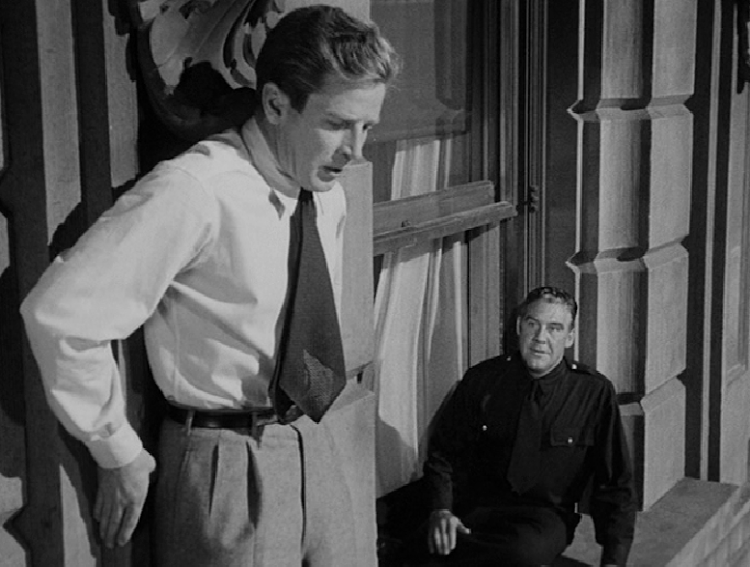 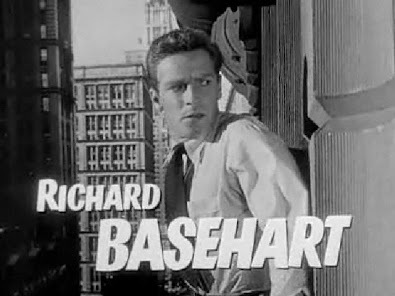 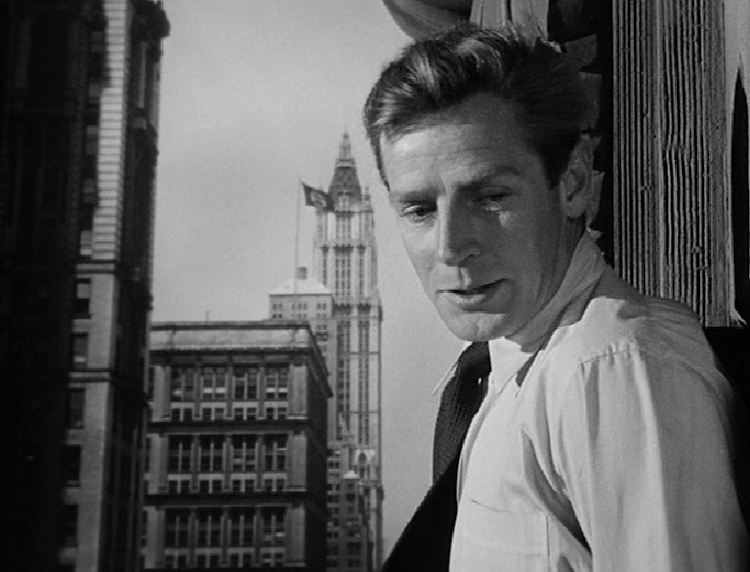 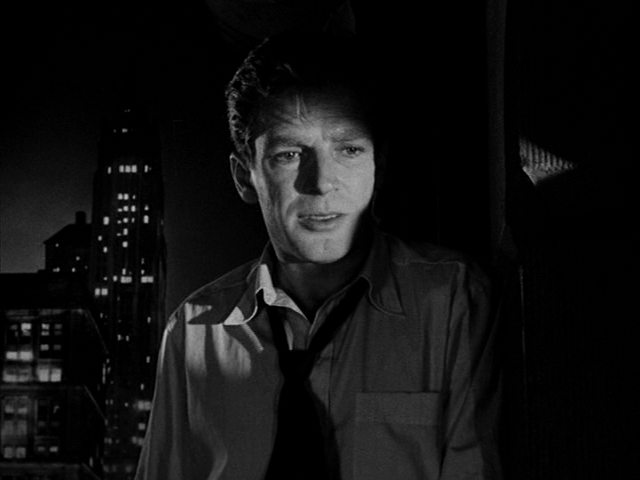 In the role of the 'jumper', Richard Basehart does a startling and poignant job within the limitations of one square foot of acting space. 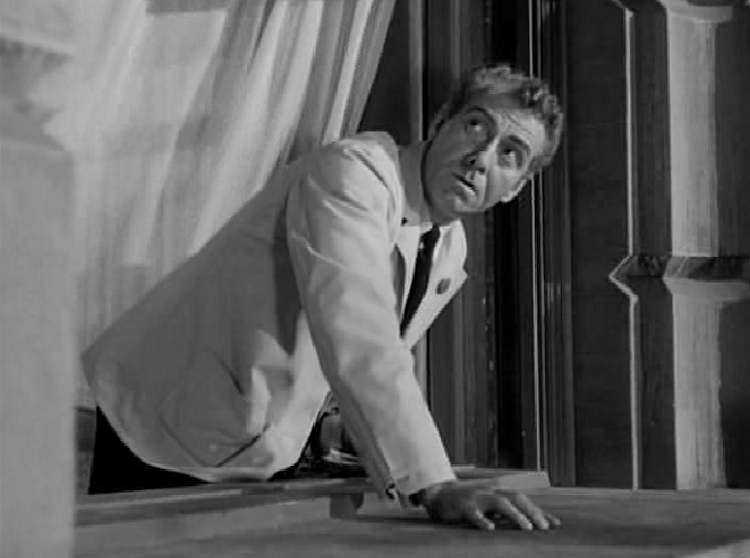 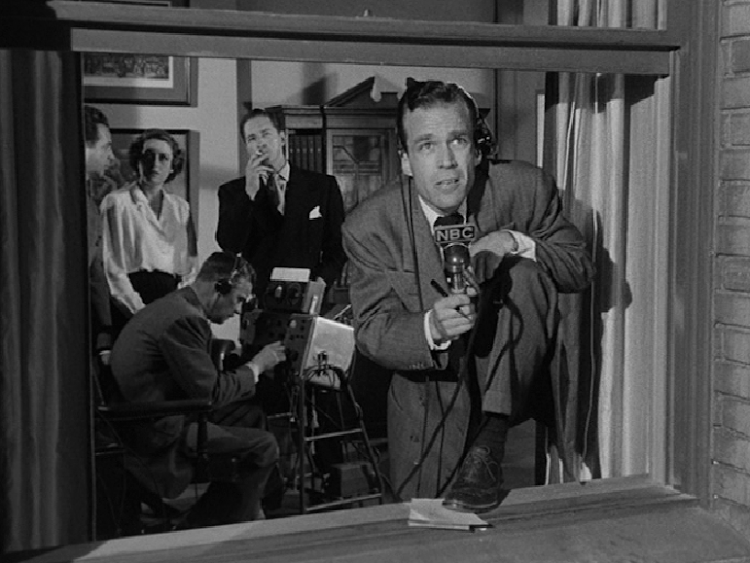 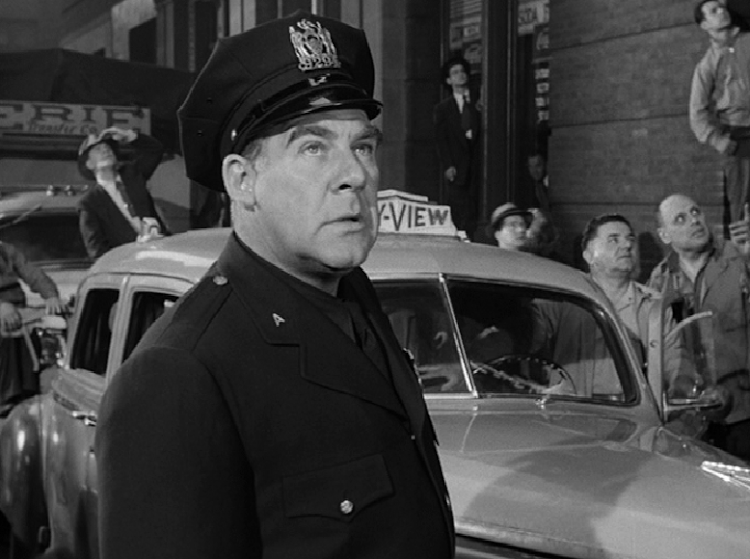 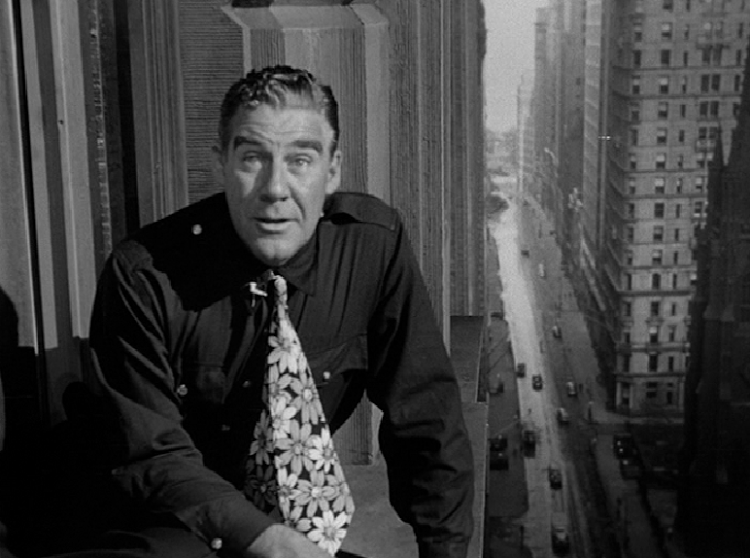 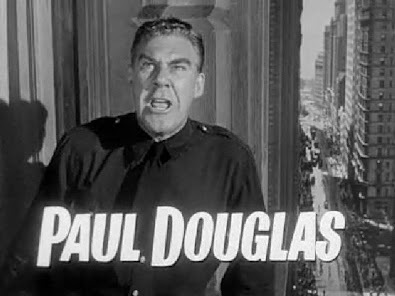 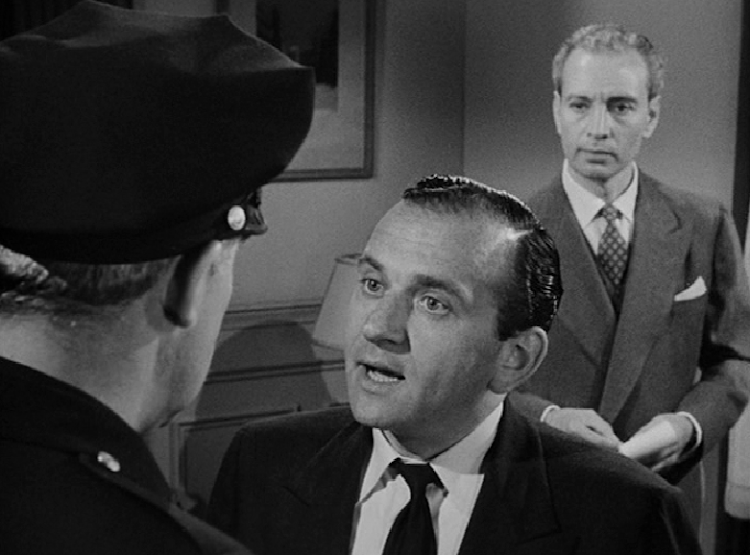 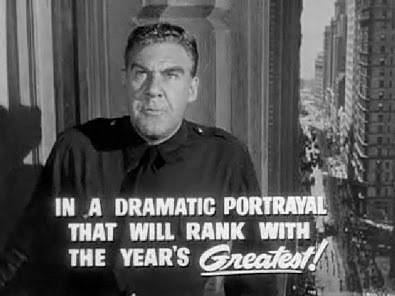 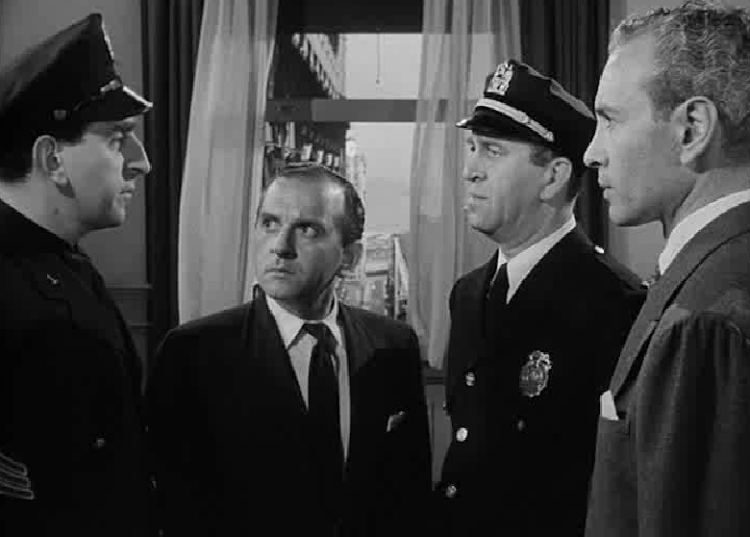 But Paul Douglas, with room to move around in, takes the honors as the good-natured cop who finds all his modest resources of intelligence and patience taxed by this queer case. 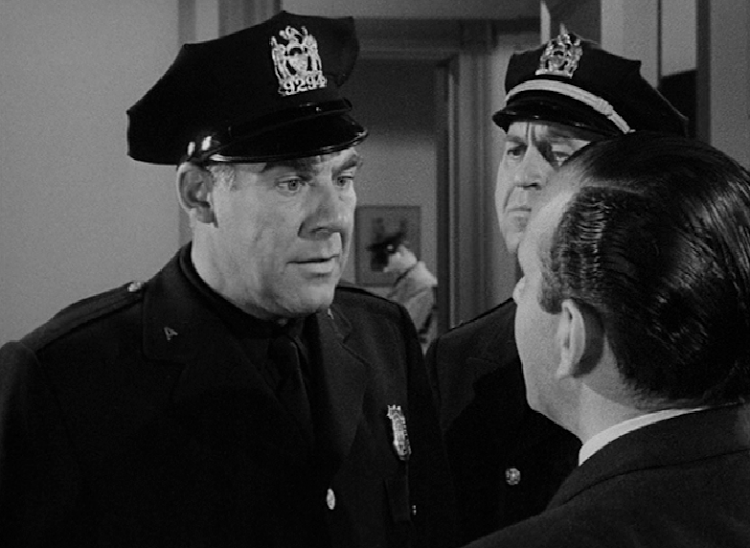 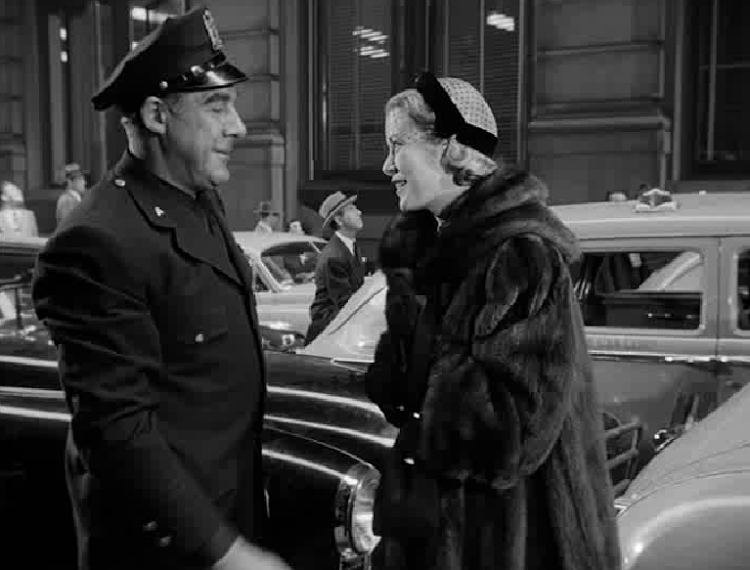 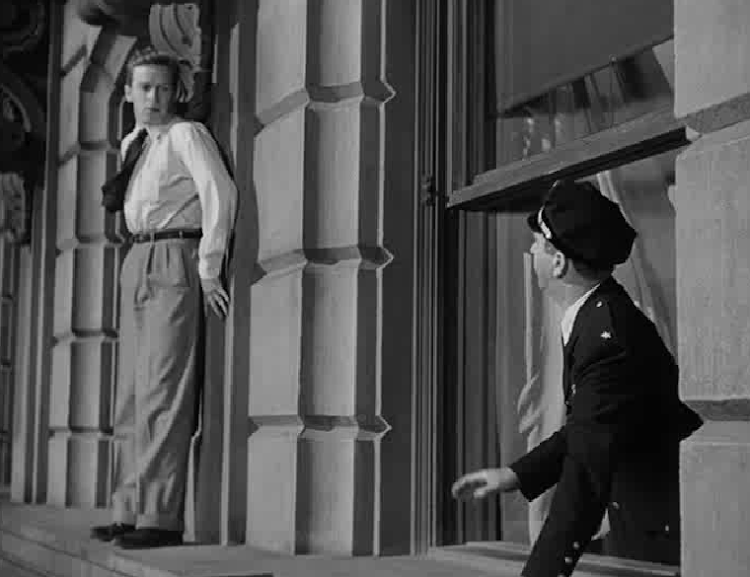 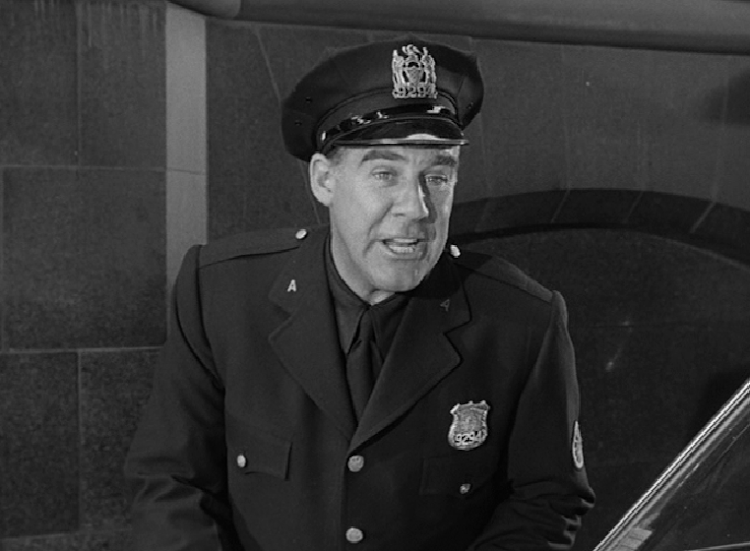 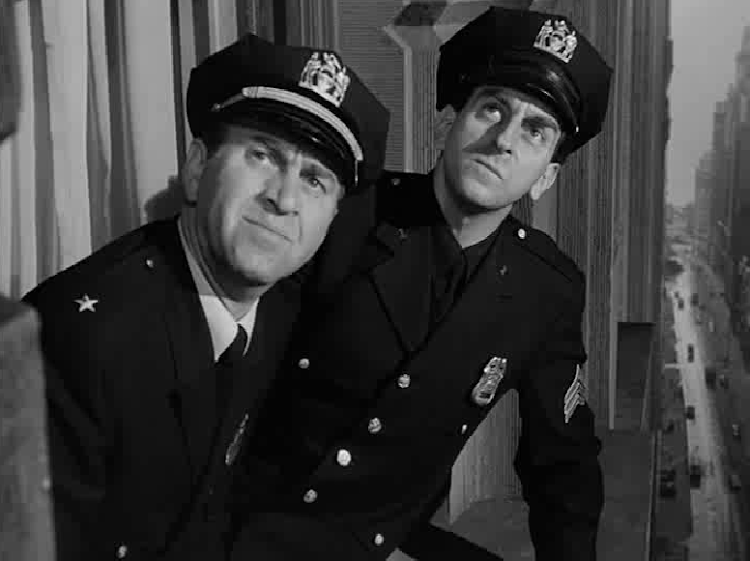 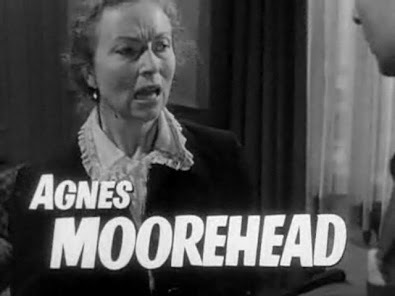 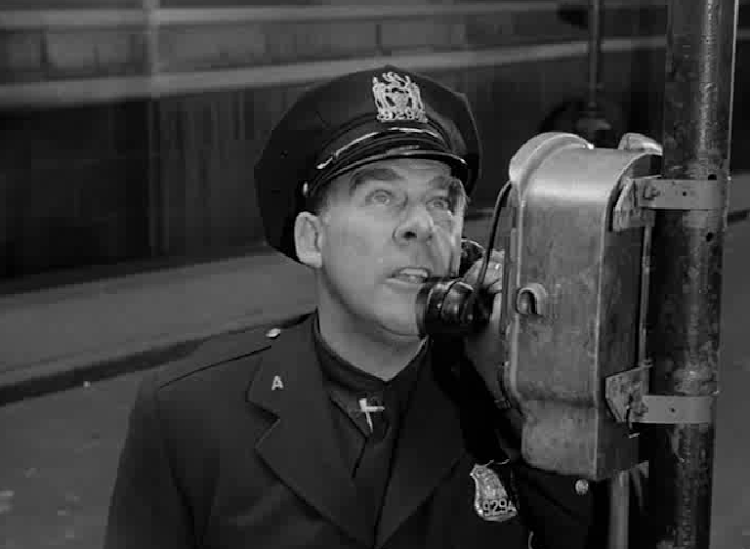 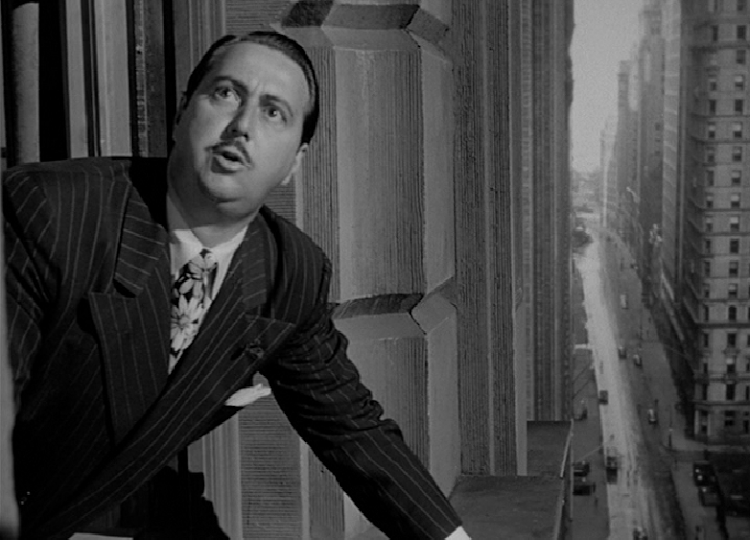 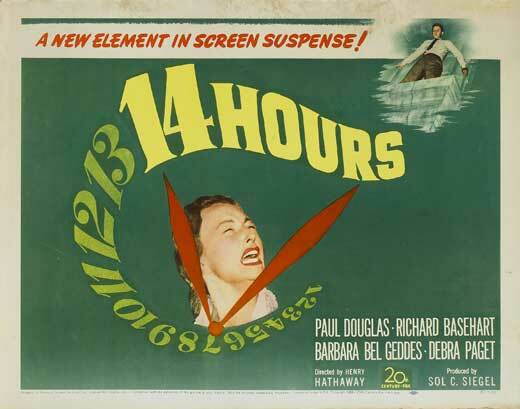 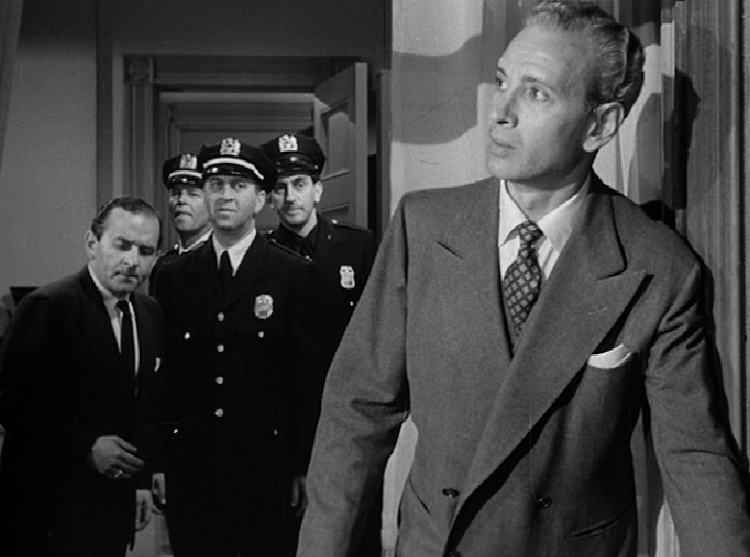 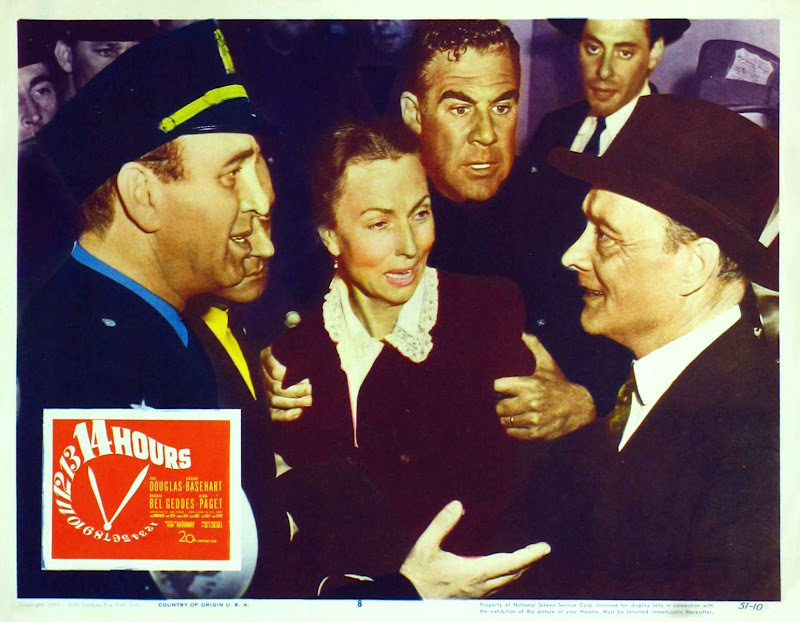 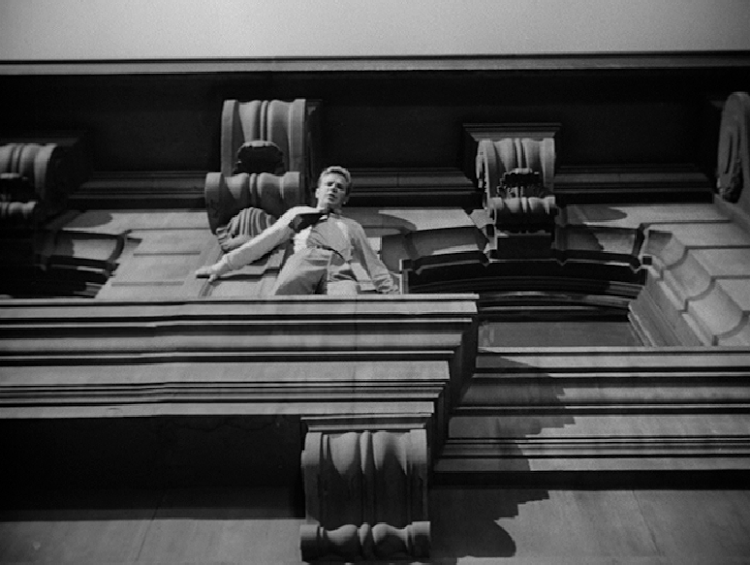 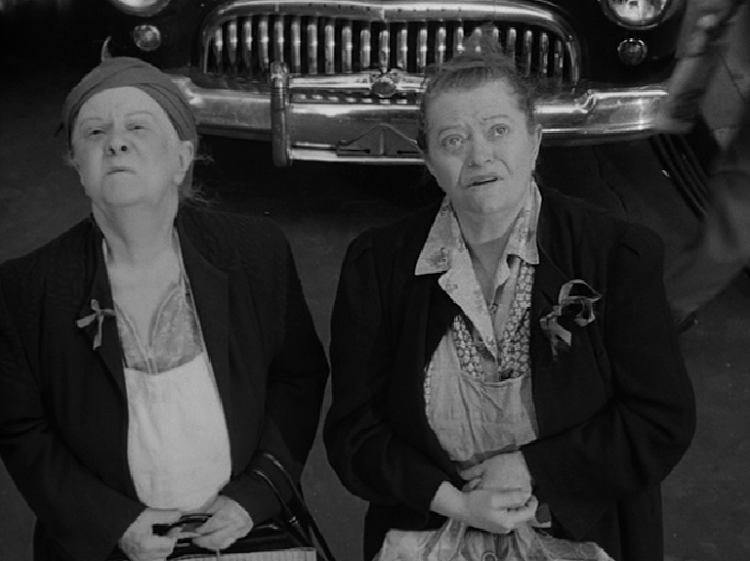 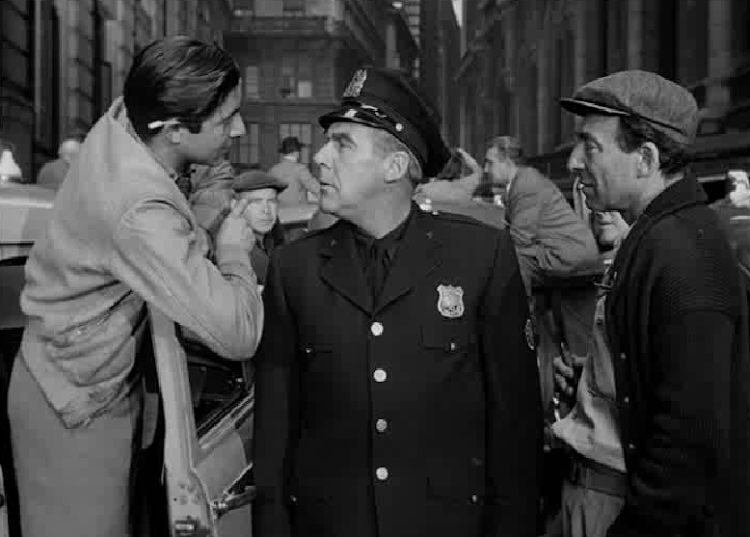 Howard Da Silva is also excellent as a methodical, hard-headed deputy chief inspector of police, and Agnes Moorehead is brilliantly effective as the neurotic mother of the man on the ledge. 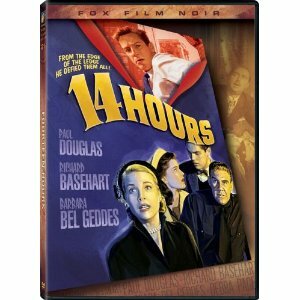 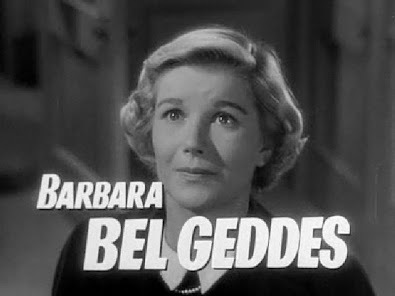 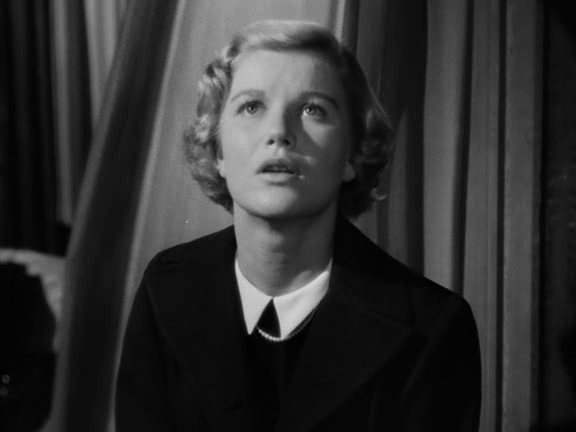 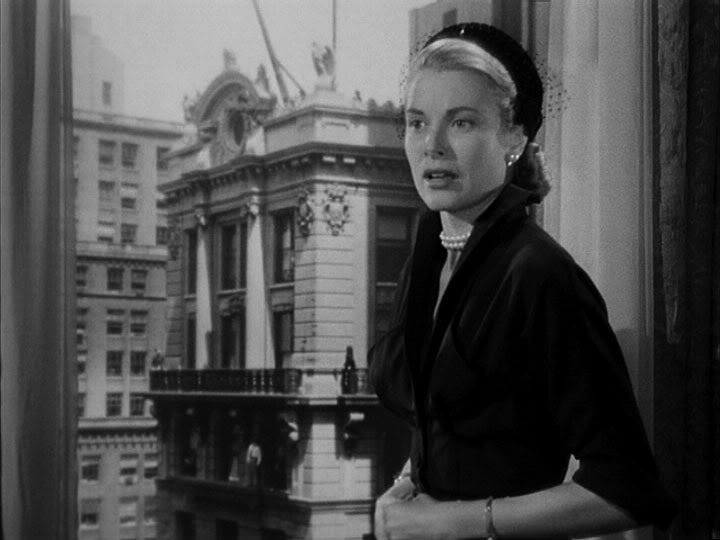 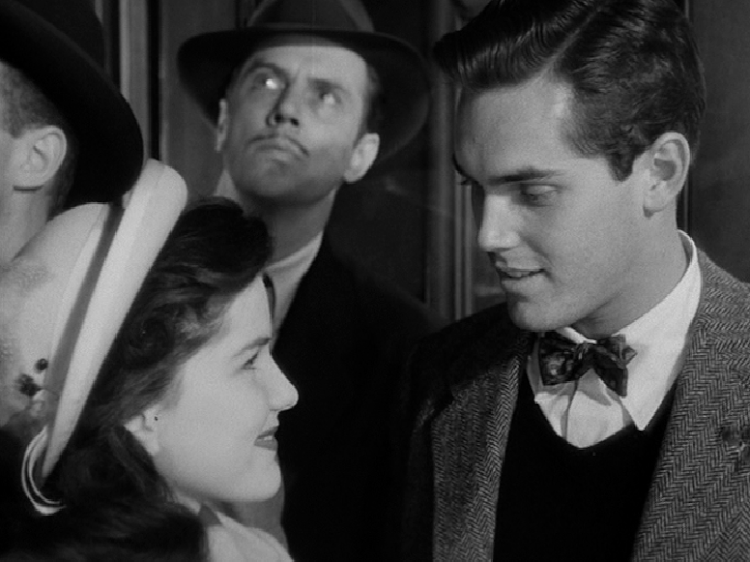 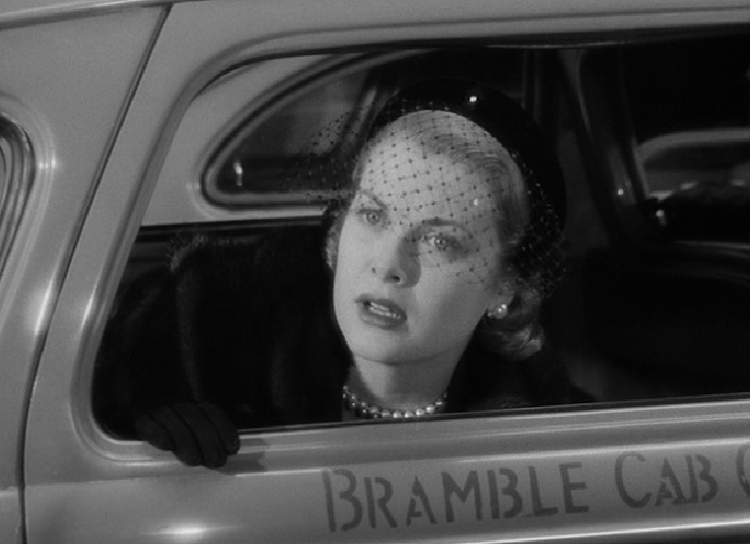 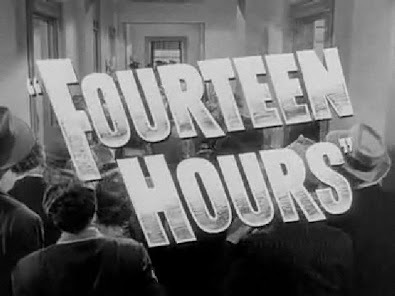 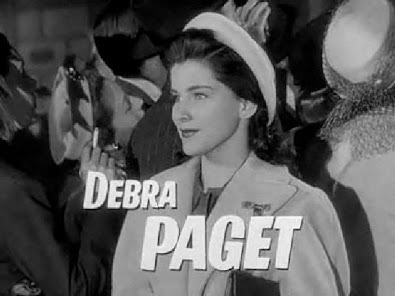 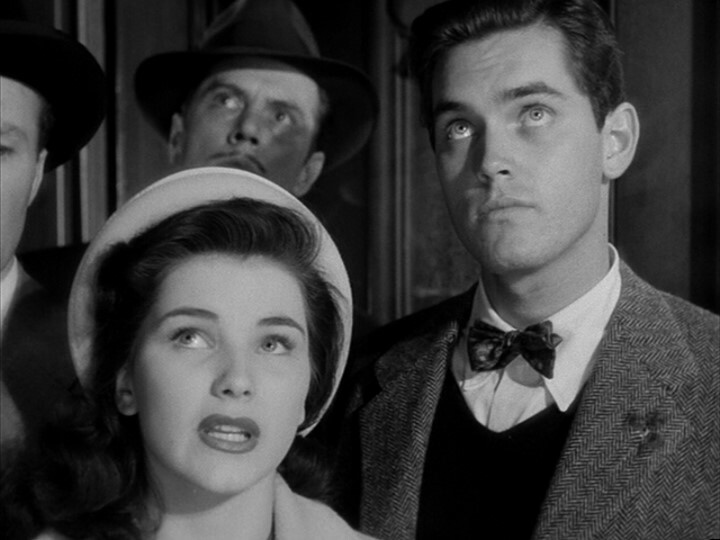 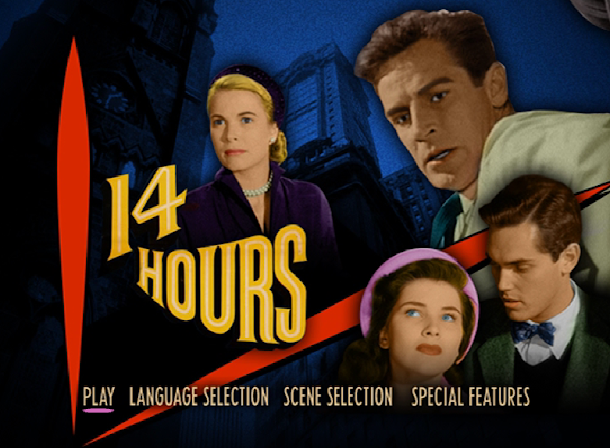 Robert Keith as the father, Barbara Bel Geddes as the sweetheart and Martin Gabel as a psychiatrist are just a few of the many others who bring personality and credibility to this superior American film."